Of the various subspecialty areas in anatomic pathology, neuropathology tends to be one of the least familiar to general pathologists. Most surgical pathologists at institutions with neurosurgical practices gain quick familiarity with the common tumors of the central nervous system. 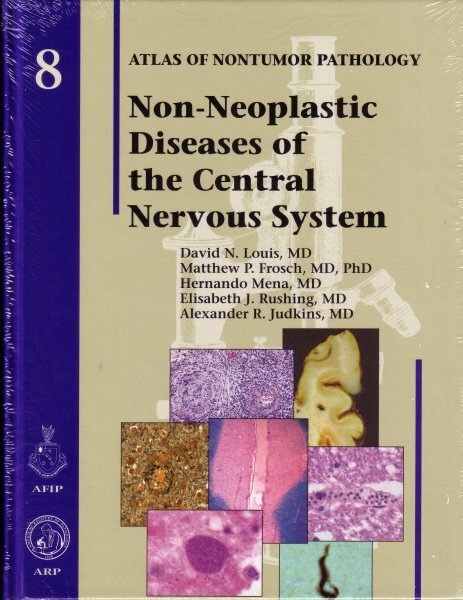 Non-neoplastic diseases of the central nervous system, however, continue to remain a mystery to surgical pathologists, since non-neoplastic diseases of the nervous system represent a wide spectrum of relatively uncommon diseases that are not often biopsied. This Fascicle has been biased toward diseases that may be encountered in surgical pathology practice. Moreover, the authors have tried to illustrate as many entities as possible with surgical material, and have used autopsy brains primarily to illustrate key macroscopic features of some diseases. Readers will find the book of use and comfort as they realize that the brain biopsy in front of them is not from a familiar neoplasm, but from one of the sometimes challenging and always fascinating non-neoplastic diseases of the central nervous system.